Germany – Germany has been inundated by heavy rain and thunderstorms. Some parts of the capital, Berlin, have been left under water. Traffic slowed to a halt in some parts of the city due to the torrential downpour. The storms are expected to continue over the weekend, particularly in the east of the country. Germany has endured more than its fair share of bad weather recently. A storm in the north of the country claimed the lives of two people last week. 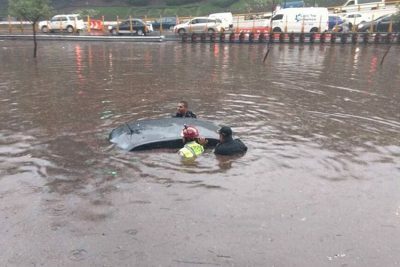 Mexico – The rainy season has hit Mexico City where a deluge caused havoc yesterday. Heavy rains lashed the city beginning in the late afternoon, causing flash flooding that stranded motorists in their submerged vehicles, forced the closure of key transportation infrastructure and flooded people’s homes. Up to 70 millimeters of rain fell on some parts of the city. The most extensive study to date on neonicotinoid pesticides concludes that they harm both honeybees and wild bees. 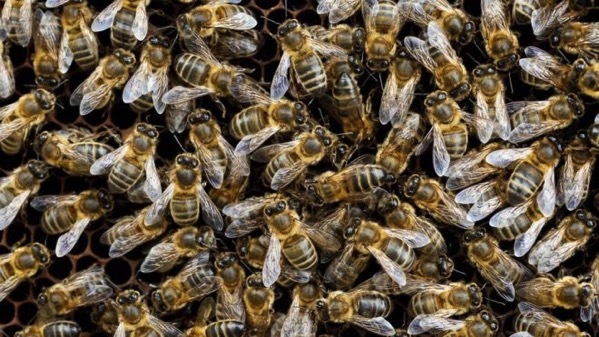 Researchers said that exposure to the chemicals left honeybee hives less likely to survive over winter, while bumblebees and solitary bees produced fewer queens. The study spanned 2,000 hectares across the UK, Germany and Hungary and was set up to establish the “real-world” impacts of the pesticides. Neonicotinoids were placed under a temporary ban in Europe in 2013 after concerns about their impact on bees. The European Commission told the BBC that it intends to put forward a new proposal to further restrict the use of the chemicals. However, Bayer, a major producer of neonicotinoids which part-funded the study, said the findings were inconclusive and that it remained convinced the pesticides were not bad for bees. A second study published in the journal Science looked at commercial corn-growing areas of Canada. The scientists found that worker bees exposed to neonicotinoids had lower life expectancies and their colonies were more likely to permanently lose queens. Thousands of wild animals are being moved across parts of Africa in an attempt to restore their populations in Mozambique, where a bloody 15-year civil war nearly wiped them out. Neighboring Zimbabwe is donating and transporting 50 elephants, 100 giraffes, 200 zebras and 200 water buffaloes to Mozambique’s Zinave National Park in one of Africa’s largest ever wildlife transfers. In total, about 7,500 wild animals from Zimbabwe, South Africa and elsewhere in Mozambique will be relocated during the next three years to help Zinave officials restore the park’s diversity. 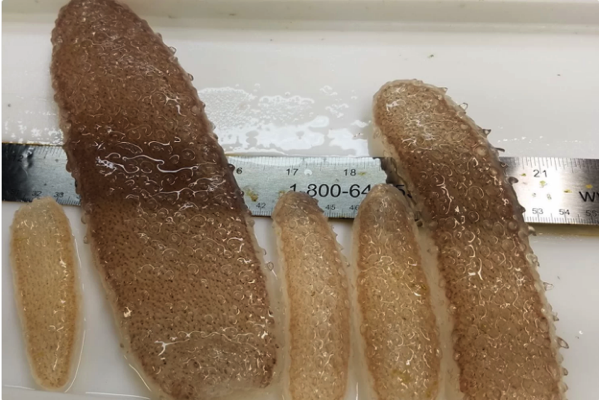 Scientists are baffled by the mounting invasion of jellylike organisms that are clogging fishing gear from California to British Columbia this year. The glowing, tubular pyrosome clusters are typically found in the tropics far from shore, but they have spread northward right along the Pacific Coast in recent years. There are now reports of them as far north as Sitka, Alaska. Some West Coast fishermen say there are now so many of the “sea pickles” in the water that it is impossible to catch anything else. The week’s hottest temperature was 127.0 degrees Fahrenheit (52.8 degrees Celsius) in Death Valley, California. The week’s coldest temperature was minus 108.0 degrees Fahrenheit (minus 77.8 degrees Celsius) at Vostok, Antarctica. In a follow-up on the polio outbreak in Syria, five new cases of circulating vaccine-derived poliovirus type 2 (cVDPV2) were reported in the past week, bringing the total of cVDPV2 cases to 22. The Ministry of Public Health and Population of Yemen has recorded a total of 39,688 suspected cholera cases and 183 associated deaths during the past week 22 to 27 June 2017. According to a World Health Organization Daily Epidemiology update today, 231,364 suspected cholera cases and 1,439 deaths have been recorded since April 27. Bagana | Bougainville (Papua New Guinea) : Based on analyses of satellite imagery and model data, the Darwin VAAC reported that on 22 and 25 June ash plumes from Bagana drifted NW at an altitude of 2.1 km (7,000 ft) a.s.l. Bezymianny | Central Kamchatka (Russia) : KVERT reported that a powerful explosion at Bezymianny on 16 June generated an ash plume that rose as high as 12 km (39,400 ft) a.s.l. and drifted 700 km E and SE. Nighttime incandescence from the lava dome was observed at night afterwards, and a lava flow emerged from the W flank of the dome. A thermal anomaly was identified daily in satellite images during 16-23 June. The Aviation colour Code remained at Orange (the second highest level on a four-colour scale). Cleveland | Chuginadak Island (USA) : AVO reported that there have been no detections of anomalous seismicity or infrasound at Cleveland since a brief explosion on 16 May. Satellite-based evidence of continuing lava effusion was observed on 7 June but since then surface temperatures had become weaker. On 26 June AVO lowered the Aviation colour Code to Yellow and the Volcano Alert Level to Advisory. Dukono | Halmahera (Indonesia) : Based on analyses of satellite imagery, wind model data, and notices from PVMBG, the Darwin VAAC reported that during 21-27 June ash plumes from Dukono rose to altitudes of 1.5-2.1 km (5,000-7,000 ft) a.s.l. and drifted in multiple directions. Ebeko | Paramushir Island (Russia) : Based on observations by residents of Severo-Kurilsk (Paramushir Island), about 7 km E of Ebeko, KVERT reported that explosions on 17 and 21 June generated ash plumes that rose as high as 2 km (6,600 ft) a.s.l. The Aviation colour Code remained at Orange (the second highest level on a four-colour scale). Kilauea | Hawaiian Islands (USA) : During 21-27 June HVO reported that the lava lake continued to rise, fall, and spatter in Kilauea’s Overlook crater. Webcams recorded incandescence from long-active sources within Pu’u ‘O’o Crater, from a vent high on the NE flank of the cone, and from a small lava pond (which had many small spattering sites along the margin) in a pit on the W side of the crater. The 61G lava flow, originating from a vent on Pu’u ‘O’o Crater’s E flank, continued to enter the ocean at Kamokuna. Field observations on 31 May revealed that the lava delta had grown to an area of approximately 0.01 square kilometers. A solidified lava ramp extended from the tube exit high on the sea cliff down to the delta, whose leading edge was about 100 m from the tube exit on the sea cliff. Lava flows from the upper portion of the flow field continued to advance downslope, producing surface flows above the pali. Klyuchevskoy | Central Kamchatka (Russia) : KVERT reported that during 16-17 June a weak thermal anomaly was identified in satellite images at Klyuchevskoy. Explosions generated ash plumes that rose to 6-7 km (19,700-23,000 ft) a.s.l. and drifted about 300 km E and W during 16-17 and 22 June. The Aviation colour Code remained at Orange (the second highest level on a four-colour scale). Langila | New Britain (Papua New Guinea) : Based on analyses of satellite imagery and wind model data, the Darwin VAAC reported that on 21 June ash plumes from Langila rose 2.1 km (7,000 ft) a.s.l. and drifted NW. Poas | Costa Rica : OVSICORI-UNA reported low-amplitude tremor with occasional periods of low-amplitude long-period events detected at Poás during 20-25 June. Plumes of reddish-coloured ash, water vapor, and magmatic gases were recorded rising as high as 500 m above two vents during 20-21 June. Magmatic gases and water vapor plumes rose as high as 1 km above the vents the rest of the period. Sabancaya | Peru : Observatorio Vulcanológico del Sur del IGP (OVS-IGP) and Observatorio Vulcanológico del INGEMMET (OVI) reported that explosive activity at Sabancaya decreased from the previous week; there was an average of 15 explosions recorded per day during 19-25 June. The explosions were also less energetic. Gas-and-ash plumes rose as high as 3.5 km above the crater rim and drifted more than 40 km S. The MIROVA system detected as many as 10 thermal anomalies, spread over the SE, N, and NE flanks. Sulfur dioxide flux was as high as 5,700 tons per day, recorded on 24 June. Based on PVMBG observations, satellite images, and wind data, the Darwin VAAC reported that during 21-27 June ash plumes from Sinabung rose 3-5.2 km (10,000-17,000 ft) a.s.l. and drifted in multiple directions. Stromboli | Aeolian Islands (Italy) : INGV reported that during 22-26 June explosions at the N1 vent, one of two vents that comprise Stromboli’s N Area, ejected material as high as 200 m above the vent. Explosive activity at the second vent, N2, ejected tephra 150 m high that fell within the crater terrace as well as beyond the crater rim. Intense spattering at N2 was noted on 26 June. Explosions from the N Area vents occurred at a rate of 10-14 events per hour. Vent C in the CS Area discontinuously puffed, and spattering also occurred on 26 June. Explosions from the S1 vents (also part of the CS Area) ejected tephra 150 m high. Explosions from the CS Area occurred between 5 and 10 events per hour. Turrialba | Costa Rica : OVSICORI-UNA reported that during 20-25 June seismicity at Turrialba was characterized by low-to-medium amplitude tremor, and a small number of low-amplitude volcano-tectonic and long-period events. Plumes of water vapor and magmatic gases rose as high as 1 km above the crater. The gases were strongly incandescent at night during 22-23 June. 5.9 Earthquake hits the Kermedec Islands. With the dissipation of post-tropical cyclone Dora, there are no further current tropical storms. A warming Antarctica will create new animal habitats. As climate change continues to cause massive melting and ice loss in Antarctica, new habitats may begin to open up for wildlife across the thawing continent, scientists reported Wednesday. But while that may sound like a boon for plants, microbes, birds and other organisms, they caution that this is not necessarily a good thing for the fragile Antarctic ecosystem. As more ice-free space opens up across the continent, previously isolated species may begin to spread out and come in contact with each other. And as they’re increasingly forced to compete for resources, some organisms may emerge dominant — and others may start to disappear, write a team of researchers in a new study, just published in the journal Nature. While Antarctica is a largely frozen continent, isolated ice-free areas — including exposed mountaintops, cliffs, valleys and islands — are already scattered across the region and may range in size from less than a square mile to hundreds of square miles. They may be separated by anywhere from a few feet to dozens or hundreds of miles. Secluded as they may be in some cases, these areas can be home to various species of vegetation, microbes, worms or insects and other small organisms, and may also serve as breeding grounds for animals like seals and seabirds. These species tend to be highly specialized for the extreme conditions in which they live. Some of them may be dormant throughout much of the year. Others may have developed specific adaptations that allow them to survive in conditions with high winds, little water or extreme low temperatures. Additionally, some species are found only in very specific areas — in fact, a few have only been recorded in a single ice-free zone. Others may be more widespread across the continent, but may have developed different adaptations in different areas. In general, Antarctica is home to many diverse and fragile communities that may be highly susceptible to environmental change. At least five men from Kodipunjuvalasa of Araku Valley Mandal in Visakhapatnam district in the state of Andhra Pradesh have contracted confirmed cutaneous anthrax, according to Indian media. The five patients were admitted to the hospital and treated Sunday with boils that developed on their hands and fingers. It is reported that they consumed the meat of a goat infected with anthrax. In Maharashtra State in west-central India is reporting an outbreak of H1N1 influenza, resulting in 260 deaths, according to local media. Despite recommendations earlier this year, state authorities have yet to procure the vaccine. In Andhra Pradesh state in India’s southeastern coast has reported 6,000 malaria cases. Last Saturday, Colombia’s Agricultural and Livestock Institute (ICA) reported the detection of a foot-and-mouth disease outbreak in the department (state) of Arauca, the first since 2009. Since the news came, Chile, Peru, and Panama have suspended their meat imports, and Ecuador reported that it would strengthen sanitary controls. Bogoslof | Fox Islands (USA) : AVO reported that slightly elevated surface temperatures at Bogoslof were identified in satellite images on 23 June, and steam emissions were occasionally observed the previous week. Beginning at 1649 on 23 June a significant explosive event was detected in seismic and infrasound data that lasted about 10 minutes. It produced an ash plume that rose as high as 11 km (36,000 ft) a.s.l. and drifted 400-490 km E. The event prompted AVO to raise the Aviation colour Code (ACC) to Red and the Volcano Alert Level (VAL) to Warning. Four additional explosions were detected, during 1918-1924, 2013-2021, 2104-2112, and 2152-2155, though any resulting ash plumes were not detected above the cloud deck at 8.5-9.1 km (28,000-30,000 ft) a.s.l. On 25 June the ACC was lowered to Orange and the VAL was lowered to Watch. At 1645 on 26 June an eruption which lasted about 14 minutes produced an ash plume that rose 7.6 km (25,000 ft) a.s.l. Seismic and lighting data indicated that a significant explosion began at 0317 on 27 June, prompting AVO to raise the ACC to Red and the VAL to Warning. The event lasted 14 minutes, and produced an ash plume that rose 9.1 km (30,000 ft) a.s.l. and drifted NW. The ACC was lowered to Orange and the VAL was lowered to Watch later that day. Karymsky | Eastern Kamchatka (Russia) : KVERT reported that a thermal anomaly over Karymsky was identified in satellite images during 16-17 June. The Aviation colour Code remained at Orange (the second highest level on a four-colour scale). Pavlof | United States : AVO reported that no unusual activity was detected in seismic or infrasound data at Pavlof during 21-26 June. Weakly elevated surface temperatures were identified in satellite images during 21-22 June, and a few clear webcam views revealed minor steaming. The Aviation colour Code remained at Yellow and the Volcano Alert Level remained at Advisory. Reventador | Ecuador : IG reported that during the previous months activity at Reventador was characterized by an average of 50 explosions per day and long-period earthquakes indicating fluid movement. Ash plumes from explosions rose as high as 2 km above the crater rim, and small pyroclastic flows descended the flanks in almost all directions. However, at 1701 on 22 June the pattern of activity changed. Seismic signals indicating emissions became continuous, and spasmodic tremor emerged which was composed of numerous small explosions. Concurrent to the change in seismicity, small-to-moderate pyroclastic flows descended 4 km down the NE flank, and plumes with low-to-moderate ash content rose 2.5 km and drifted W. Pyroclastic-flow deposits were also noted in the upper basin of El Reventador river, E of the cone. During 22-23 June incandescent blocks rolled 500 m down the flanks, steam-and-ash plumes rose 2 km, and several pyroclastic flows traveled 900 m NE. Cloud cover sometimes prevented visual observations during 24-27 June though sometimes gas-and-ash plumes were seen rising no higher than 500 m above the crater rim. Incandescent blocks continued to descend the flanks, traveling as far as 650 m. “Cannon shot” sounds were heard at night during 24-25 June. During 26-27 June several episodes of incandescence at the crater were noted, and a lava flow traveled 2 km down the NE flank. Rincon de la Vieja | Costa Rica : OVSICORI-UNA reported that at 1456 on 23 June a phreatic eruption at Rincón de la Vieja ejected sediment onto the upper N flank and generated a plume that rose 1-2 km above the summit. The plume dispersed sediments to the W and NW, near the Von Seebach crater (about 3 km SW of the active crater). Sheveluch | Central Kamchatka (Russia) : KVERT reported that a thermal anomaly was identified daily in satellite images over Sheveluch during 16-23 June. Explosions on 17 June generated ash plumes that rose as high as 7 km (23,000 ft) a.s.l. and drifted 300 km E. Strong explosions the next day produced ash plumes that rose as high as 10 km (32,800 ft) a.s.l. and drifted 1,500 km ESE. The Aviation colour Code remained at Orange (the second highest level on a four-colour scale). Ulawun | New Britain (Papua New Guinea) : RVO reported that during 1 May-23 June white plume rose from Ulawun. Seismicity was low (and dominated by small low-frequency earthquakes) although RSAM values slowly increased and then spiked on 13 June. Ash emissions began on 11 June and then became dense during 21-23 June. Based on analyses of satellite imagery, the Darwin VAAC reported that during 24-26 June ash plumes rose to an altitude of 3 km (10,000 ft) a.s.l. and drifted W.
5.5 Earthquake hits northeastern Iran. 5.5 Earthquake hits east of the Kuril Islands. 5.2 Earthquake hits Catamarca, Argentina. In the Eastern Pacific: Post-Tropical Cyclone Dora is located about 320 mi…515 km SW of the southern tip of Baja California with maximum sustained winds…35 mph…55 km/h. Present movement…WNW or 290 degrees at 10 mph…17 km/h. China – China’s flood control authority said on Tuesday that some central and southern provinces are likely to see large floods this year as downpours swell rivers. There is a possibility of flooding along the Pearl and Huaihe rivers as well as the middle and lower reaches of the Yangtze River. Provinces including Guangdong, Guizhou, Hubei, Hunan and Jiangxi have seen water levels in 175 rivers rise beyond their warning levels with five rivers at record-high levels. Flooding has forced more than 170,000 people to relocate in Hunan Province. In Jiangxi Province, 235,000 hectares of crops have been destroyed. More rainfall is forecast for southern and southwestern parts of the country in the next ten days, with precipitation in some regions likely to reach 300 millimeters within 24 hours. Scientists claim they have found evidence of coral bleaching on one of the Great Barrier Reef’s most iconic landmarks, Heart Reef in the Whitsundays. They say it’s been caused by an extreme heatwave around the time of Cyclone Debbie. The devastating storm itself missed the heart-shaped reef but it smashed other significant coral systems nearby. Just 18km away at Baits Reef, entire sections have been decimated. It’s been reduced to rubble, with barely any signs of life. Experts say the reef is resilient and will bounce back, but it does take years and the more cyclones we have, the more vulnerable our global treasure becomes.